Like what you're reading and think we can add weight to your business? Steve Hill is a Dorset based ISO consultant who has been helping companies set up and maintain simple but effective management systems for over 30 years. Whether it's ISO 9001; AS9100; ISO 14001; ISO 13485 including MDD 93/42; ISO 45001:2018 (formally OHSAS 18001); ATEX or AQAP 2110 our experience means your system will be set up quickly without any fuss or hassle. We have used Steve for several years and his support has been a great asset for our business. He has helped transform a rather tired management system into an effective tool for the business. He always goes above and beyond to meet our needs. We first used Steve in 2004 when we decided Exchange Supplies needed management systems that met the requirements of ISO 9001:2000. Steve skilfully guided us through the process by reviewing our working practices and suggesting improvements and then creating the documentation. He clearly knew his stuff but just as importantly he was very practical, patient and approachable. This helped enormously when working with staff at all levels and ensured their involvement and commitment. The management system passed first time and the Certification Body auditor commented that the system was one of the best he’d audited. This comment has been repeated numerous times by different auditors (ISO 9001, ISO 14001 and MHRA) who have audited our system over the years. Since implementing ISO 9001:2000 Steve has helped us set up and integrate our Good Distributer Practice processes and procedures , our ISO 14001:2004 management system and more recently ensure our system met the requirements of ISO 9001:2008. All systems passed with flying colours. Steve continues to provide regular ongoing support in the form of internal audits, document updates and continuing development of the management system. We would definitely recommend Steve to any firm looking for an experienced, practical, conscientious consultant who knows how to get the job done well. We used Steve Hill Associates to help our company convert its QMS to meet the requirements of ISO 9001:2000. In doing so a lot of bureaucracy and unnecessary tasks were removed from the system and procedures and policies were simplified making the QMS far more workable. Since then we have retained Steve's services for internal audits and QMS updating. His efforts have ensured our QMS keeps pace as the business evolves and that certification body surveillance visits pass without concern. We would recommend him to other companies without question. Steve has worked with us since 1998 helping us set up our ISO 9001:1994 quality management system and then subsequently converting it to ISO 9001:2000 and the ISO 9001:2008. He carries out six-monthly internal audits to ensure our system remains compliant and provides additional support when processes / documentation changes are required. The system that Steve has set up for us has proved invaluable over the years. It clearly sets out what we need to do without being complicated and generates the data that helps us understand and improve our performance. There is no doubt that without our quality management system and Steve’s support we would not have worked so efficiently over the last ten years. Steve helped our company achieve ISO 9001:2000 accreditation which we passed at the first attempt. The quality management system designed by Steve was complimented by our certification body auditor who like us found it to be well thought through, easy to follow and sympathetic to our operations. Having worked in senior management in large corporations previously, it was clear that the quality of documentation and sheer professionalism brought to the table by Steve, in terms of his technical ability and people skills were second to none. Steve’s pro-active down to earth approach and willingness to help and advise on a professional level at all stages ensured that achieving accreditation for our company was as painless as possible. As a result our QMS has become a valuable management tool that continues to support our business as it grows. Steve provides ongoing support including internal audits and we would have absolutely no hesitation in recommending him – in fact we would strongly recommend Steve to others who are looking for a down to earth, pragmatic approach to their quality management requirements. 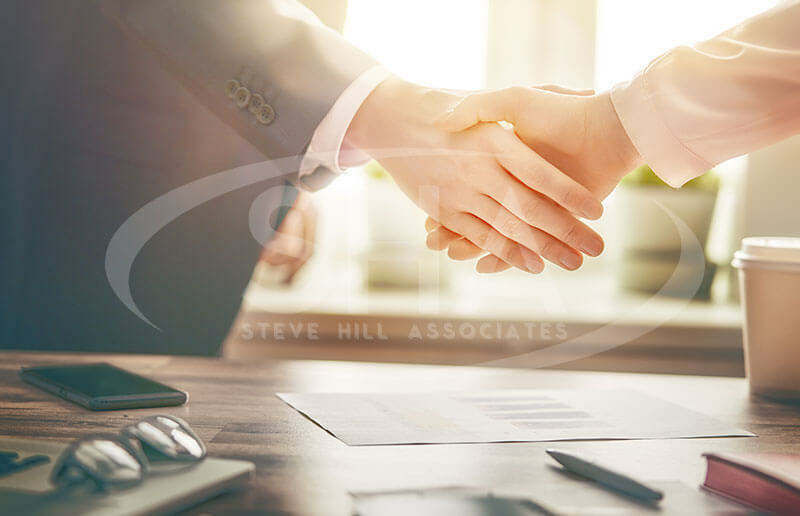 Steve Hill is somebody who is infinitely capable of guiding and assisting a company through the accreditation process, easily and sympathetically, first time, and I am sure no doubt, every time. We asked Steve in July 2009 to help us set up our ISO 9001:2008 quality management system, after searching for a consultant with a pragmatic and down-to-earth approach. The whole process ran very smoothly and integrated easily with our existing working practices. Steve helped us to only introduce additional steps where these would add value to our operations and business. As a result, we now have a system that is designed to support our business objectives and to help us achieve them. We were awarded our ISO 9001 certificate in December 2009 and already this qualification has benefited us. We have retained Steve to provide ongoing support including performing our internal quality audits. We are a sub-contract waterjet cutting specialist based in Lyme Regis who required ISO 9001:2008 certification. Having experienced quality management systems in the past we were keen that ours was kept as simple as possible with the minimum of paperwork. With the help of Steve Hill Associates our objectives were achieved quickly and effectively. We were kept involved throughout the process and in just a few months our system was set up, implemented, assessed and passed at the first attempt. We were very impressed with Steve’s knowledge, approach and professionalism throughout the project and we were delighted with the end result. The system is already proving to be an effective tool in helping us run our business on a day to day basis. We will continue to work with Steve who will be back from time to time to help with our internal audits and to provide ongoing support and advice as required. Director, Berthon Boat Company Ltd, Hants. We had a very short time to renew our IS0 9001 and I decided that we should take the opportunity to start again with both the ISO 9001 manual, and the way we filed the manual going from paper to electronic. Steve Hill effectively started from scratch, wrote the manual in a very short time to reflect our working practices, and carried out an audit to prepare us for the certification assessment. From our first meeting with Steve to our successful certification took just 6 weeks from start to finish. Steve Hill was very pro-active and user-friendly, hard working and concise. Business Development Manager, Coastline Surveys Ltd, Cornwall. SHA provided us with the framework and direction to achieve OHSAS 18001 accreditation in three months. Steve's insightful systematic approach enabled us to organise existing processes into a robust, user-friendly, compliant Management System. The true extent of his expertise became clear during the initial assessments, where the SHA format impressed BSI's auditors resulting in recommendations of best practice. Steve continues to work with us and his input is highly valued by all at Coastline Surveys. Signpost Care Services used Steve Hill Associates to achieve ISO 9001 certification. Steve helped us to create a company operations manual which provides an invaluable framework for ensuring our systems remain current, streamlined and effective. In order to meet the needs of the vulnerable individuals we serve, our service needs to be responsive, flexible and adaptable. We were impressed with the speed that Steve understood the remit and needs of Signpost and his ability to transfer his knowledge of ISO onto a care setting. Steve is professional, pro-active and personable and we have no hesitation in recommending his work. Epoch Technical Consultancy required ISO 9001:2008 accreditation in a very short period of time. Steve quickly understood our business processes and tailored a simple set of quality management processes that met the requirements of the Standard and, most importantly, required little change on our part in the way we did our business. With his support, we sailed through ISO accreditation in less than 2 months. We were very impressed with Steve and will continue to use him to provide independent internal audit support and advice in the future. Quality Manager, Grovelely Detection Ltd, Dorset. What a difference in mood at GDL after the audit! Gail is very pleased and asked me to convey her appreciation to you for all that you have done for us. The fact it was your professional approach, guidance and final product that we can thank for achieving this. The ISOQAR Assessor remarked again today when summarising that there had been a complete sea change since the last audit. And an external expertise was readily evident. Thank you for all your help, guidance and support over the last four months. I would like to be able to call on your advise at anytime in the future. The ISOQAR Assessor has suggested we call on your services later next year to audit GDL after we have completed our internal audits. Thomson CBE FRAeS - Chief Operating Officer Nine23 Ltd.
Or use the form and we will get back to you as soon as we can. We look forward to hearing from you.